The #1 book store for technical books, codes and standards. Come take at our look at our Houston store to find any technical and hard to find standards that you need. We carry thousands of titles is stock! Engineering was not just an important part of everyday life for the Roman Empire, it was the backbone of its military strength as well. Nowhere were the stakes higher, and nowhere did the genius of Roman engineering play more a part in victory than at the Battle of Alesia. Julius Caesar was known as one of Rome's great public speakers. He was a direct descendant of Roman royalty, while at the same time just as popular with the common man. But it was on the battlefield where Caesar solidified his power, and no battle inscribed his rise to the top like against the barbarians of Gaul and their fiery military commander Vercingetorix in 52 BC. It was at the Battle of Alesia that the Gauls were finally subdued once and for all. Rome would rule the area for the next four hundred years. 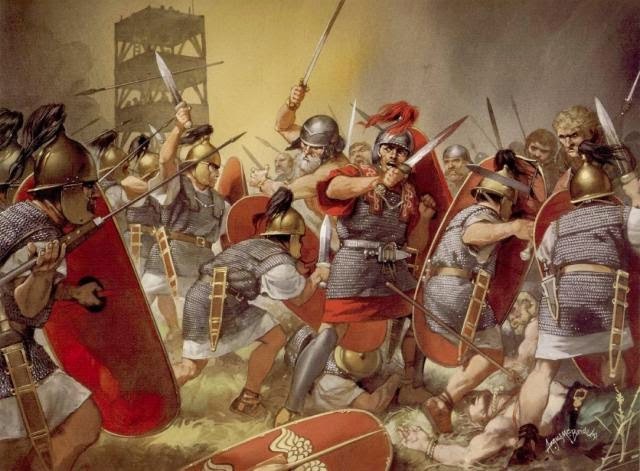 But while the Roman legions were better equipped and supplied than the Gauls, they were in fact outnumbered 4 to 1. It was Roman engineering that won the day for Julius Caesar, and Rome. Not only was Alesia, a village of about 10,000, surrounded by river valleys, it sat high atop a well fortified hilltop as well. Any chances for a straight-on frontal assault by the Romans would have proved unsuccessful. With just 4 legions, around 20,000 men, Julius Caesar also found himself vast;y outnumbered by the Gallic force of more than 80,0000. So Caesar decided the best way to take on the barbarians was to lay siege to the town. He would starve Vercingetorix and his people into submission by building a 5-mile wall around the town itself, thus cutting off any chance for food or water to get into the fortress itself. According to historical writings from Julius Caesar himself, the wall was 18 kilometers in circumference and four meters high. It was bordered by moats, ditches, and mantraps of all kinds.While the building of the wall was a great feat of engineering in and of itself, it was even more amazing when you consider it was completed in just 5 weeks. Quite aware that Caesar was penning him in, Vercingetorix sent a unit of his cavalry out to seek reinforcements. 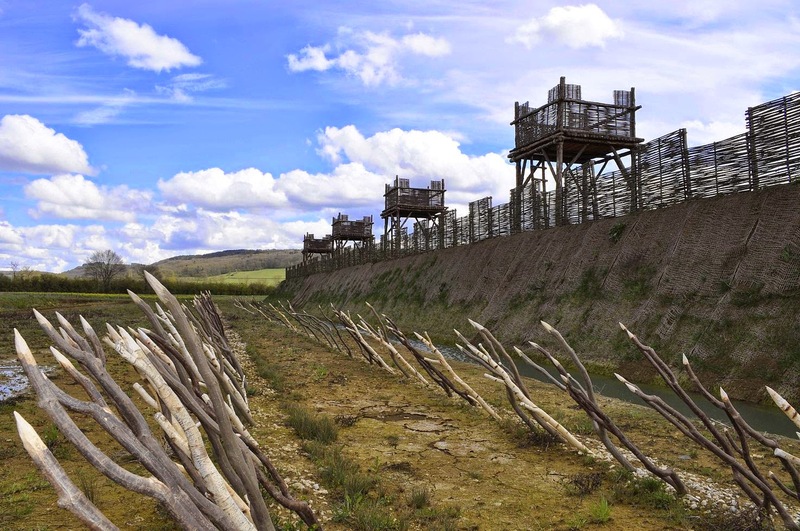 Knowing that he could now be attacked on both sides, Julius Caesar did the unimaginable: he built yet another wall, this one surrounding the first and 19 miles in length. The siege was now on. But Vercingetorix would not go down without a fight. The battle that ensued is the kind of thing legends are made of. With the Romans on their heels, it was Julius Caesar him who rode in to save the day. 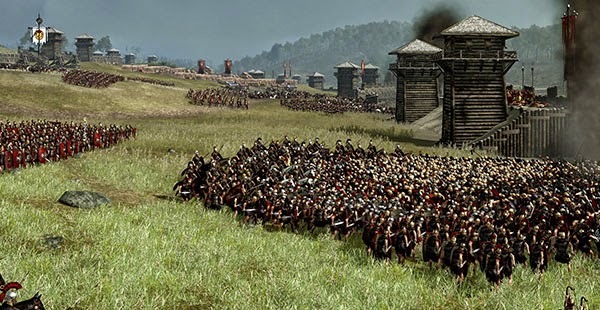 Come check out this great video on the Battle of Alesia and the engineering marvels that eventually won the day fort Rome. If you're in the oil business then you know just how important your tools are. Come check out all the great tools at our news tools division site, BrownToolBox.com. If you like keeping up with news and events, we invite you to come see our new oil & gas media site, BrownPetro.com. Brown Book Shop, est. in 1946, is America's leading technical bookstore. Brown Knows Books. Brown Book Shop, founded in 1946, has been serving both professionals and avid readers for over 66 years. For generations, we have had a cornerstone on technical publications. We have grown into one of the world's largest and greatest professional and technical bookstores. We are also the only walk-in and online technical bookstore in the United States.